The US of A has Elvis Presley. Hong Kong has Sam Hui. The Philippines has Lea Salonga. 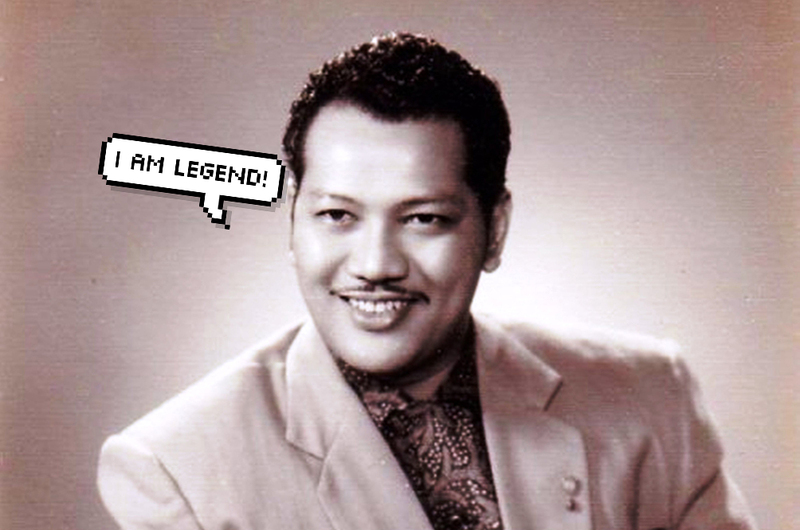 When it comes to local legends, one name undoubtedly comes to mind: P. Ramlee. Born in 1929, P. Ramlee -- real name Seniman Agung Tan Sri Datuk Amar Teuku Zakaria bin Teuku Nyak Putih -- is arguably Malaysia's most accomplished entertainer. With over 400 songs and 66 films under his belt, P. Ramlee has cemented his place as one of the greatest showmen in our local entertainment industry. Now, 45 years after his death, the legendary performer is set to receive more honours. Tourism, Arts and Culture Minister Datuk Mohammadin Ketapi told news agency Bernama on Wednesday that a total of 149 songs written and sung by P. Ramlee will be accorded the national heritage status. The songs, among them classics like "Getaran Jiwa", "Maafkan Kami", "Anakku Sazali" and "Bunyi Gitar", are among 255 cultural items declared as National Heritage 2018. "This evening, a number of cultural items are declared as national heritage and what made it even more memorable is the inclusion of works by the late Tan Sri P. Ramlee, particularly his hit songs," Mohammadin was quoted as saying. On top of P. Ramlee's songs, six exemplary individuals, 24 heritage sites and 225 heritage objects have also been accorded national heritage status. BRB, going to stream P. Ramlee songs on Spotify right now. Is Legoland Malaysia Looking For A New Owner?